Earlier this month our son Ellison graduated from The Citadel, the military college of South Carolina. Those were four challenging years – for him, going through it and for my husband and me, watching from a distance! 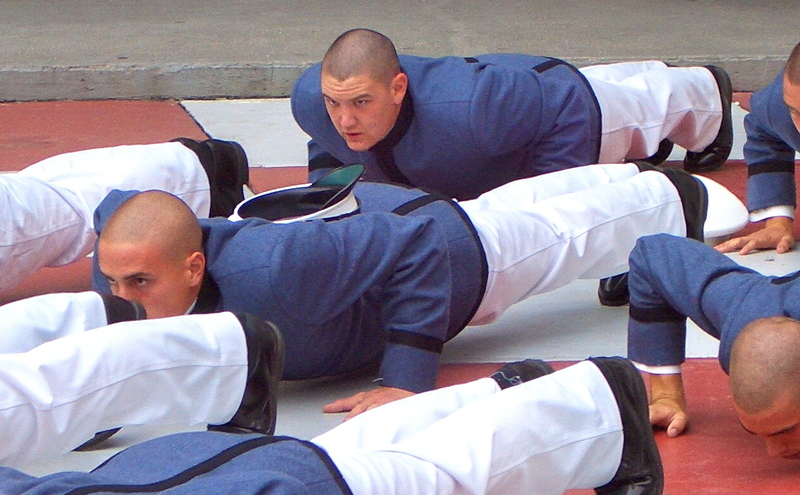 With each cadet that I met over the years, I was fascinated to learn that most seemed called to this institution … “It’s where I’m supposed to be.” Through what I saw, heard and read, I gained a general idea of the overarching challenges of attending a school like this; however, my understanding of the tedious but essential daily disciplines required of them (drills, marching, shining brass and shoes, pressing uniforms, etc.) is lacking as only those living it really know. Why? because they don’t talk about it a lot, though I’m sure they complain among themselves; they just live it. To some degree, they know what they’ve signed on for, and they are committed to persevering to finishing well. I admire them. Being a mom has some fascinating parallels. The general public may speculate as to our overarching challenges as parents, but unless they wear this badge, they really don’t know. Trying to stretch our newborn’s nursing schedule, getting our baby to nap or sleep through the night, potty training, teaching toddlers to share, helping siblings get along, comforting and advising through friend issues, supporting them through the challenges of academics… NOT to mention household or job responsibilities! And those essential daily disciplines … can absolutely be tedious! Did you brush your teeth? Flush the toilet. Put the lid down. Straighten your room. Chew with your mouth closed. Stop teasing. Do your chores. Mind your manners. Did you use soap? BUT when they master any one of these, we celebrate their progress. Because we love them, their accomplishments are some of our most important goals. 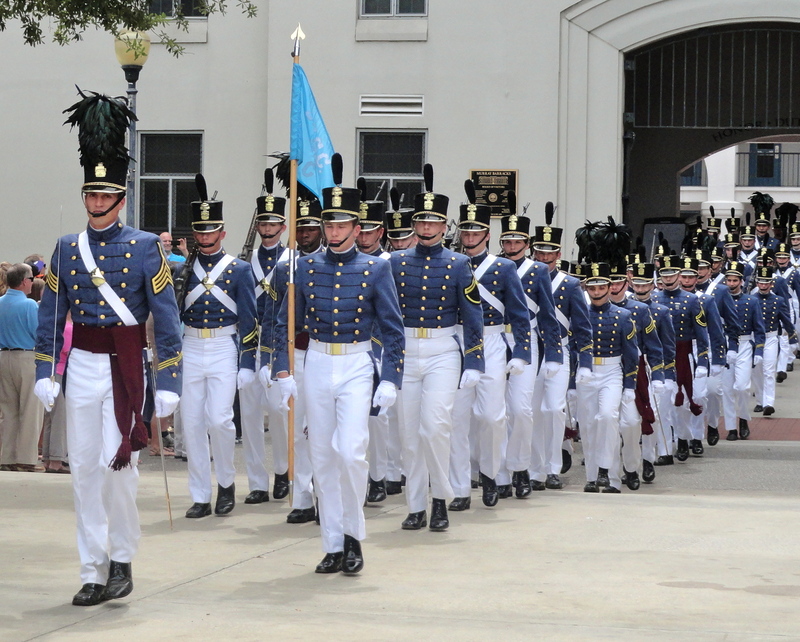 At The Citadel, seniors receive a ring, as a symbol of fulfilling the challenging list of requirements that span their four years there. When Ellison received his, our whole family celebrated as we knew so much of what he’d gone through, but not everything. God knows everything we’re going through. He’s present; He’s there. He knows that being a mom is much harder than it looks! As we fulfill this call that God has given us, we will receive a crown – as He celebrates us. This entry was posted in Encouragement and tagged calling, Encouragement, purpose by Teresa. Bookmark the permalink. 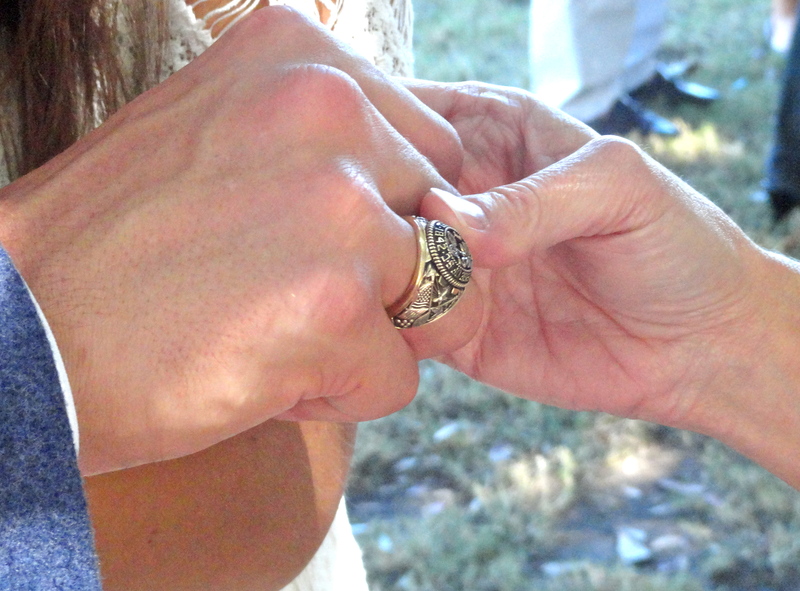 Congratulations to Ellison and to you and Terrell. I know you are so proud of him! Our children’s accomplishments are a reflection of the many things we have done behind the scenes that only God really sees and understands. Blessings to the Glenn family! Yes, it was a wonderful time to celebrate Ellison’s accomplishments but especially God’s faithfulness. If our kids only knew how many other celebrations we have with God along the way – as our kids accomplish the small, but significant things we are hoping and praying for! Thanks so much for commenting! I love to hear your thoughts.